Once upon a time, there was one Macintosh. It was small and beige. It had very little memory. But most of all, it was cute, friendly, and easy to use. That was 1984. Apple expanded the line in 1987 when the Mac II and SE joined the Plus and 512Ke. From then until the Gil Amelio period, Apple kept expanding the product line. Under Gil, Apple streamlined the product line. The new Apple replaced the 7200, 7300, 8600, and 9600 with the Power Mac G3, which came in two cases (desktop and minitower) and two speed (233 and 266 MHz). They replaced the PowerBook 1400 and 3400 with the PowerBook G3, which offered a 250 MHz processor. Next to go was the Performa and LC lines, which were simply replaced by Power Macintosh models - and later replaced by the iMac. Later the beige Power Mac G3 morphed into a blue and white minitower with handles, which later became today's graphite Power Mac G4. Apple had reduced the product line to three models, some with multiple speed options. They completed their four-niche model by releasing the iBook last summer. Apple has created models for what they consider the four largest, most important markets - why are some Mac users still disappointed? We certainly can't fault the current models. They do what they are designed to do, and they do it very, very well. The problem is, there are things the current Macs are not designed to do. None is designed to accept six PCI cards. None is made to weigh under five pounds. None is available in a standard desktop configuration just waiting for you to add your own monitor. And none offers the kind of huge 1280 x 1024 screen we're starting to see in the Wintel world. The Fantastic Four is good, but what of Spider-Man, Captain America, Iron Man, and The Wasp? Iron Man, Mr. Technology, represents the dream of Mac-loving video professionals everywhere: a Power Mac Plus with at least six expansion slots and more drive bays than the current model offers. This is perhaps a small market, but it is a market willing to pay the price for the right tool. Captain America may not have superhuman powers, but he sure gets the job done. Use him as the model for a stripped down Power Mac G3 or iMac, a more conventional desktop design that sits underneath your monitor. It could offer the same 350 and 400 MHz performance as the iMac - nobody would complain. It need not even have an expansion slot, although one or two would be nice. Spider-Man has the proportionate speed and reflexes of a spider, making him a great example for the PowerBook Plus, a fast G3 machine with a 1280 x 1024 screen. This is the one I'd buy, if Apple made it. And, like the Power Mac Plus, those who need the larger screen will pay a premium for it. 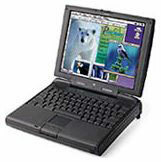 As for the winsome Wasp, Apple needs an ultralight portable, a PowerBook Lite in the 4 pound range to compete with a lot of thin, light Wintel machines. And, like the PowerBook Plus and Power Mac Plus, users will pay a premium for an ultralight laptop. In the end, maybe we end up with eight niches instead of the current four. Three of them could be even more profitable than current models, since Windows users have shown the market will pay a premium for lighter laptops, more expansion slots, or a bigger laptop screen. One, basically a headless iMac or stripped Power Mac, could give Apple an entry into the $700-800 market, providing a more economical way for current Mac users to upgrade and for Wintel users to switch. In fact, I'd say it's inevitable that Apple will expand the product line. Computers (not PDAs) are their core business. Now that they've made models for 70-80% of the market, it's time to start meeting the needs of the smaller markets. And Apple can leverage their increasing reliance on shared components to do this an remain the most profitable computer manufacturer out there.